In my own head, winter is a bleak time as far as plant life. Bare trees, fields of snow, long grey days that are chilly, damp, cold, and dark. 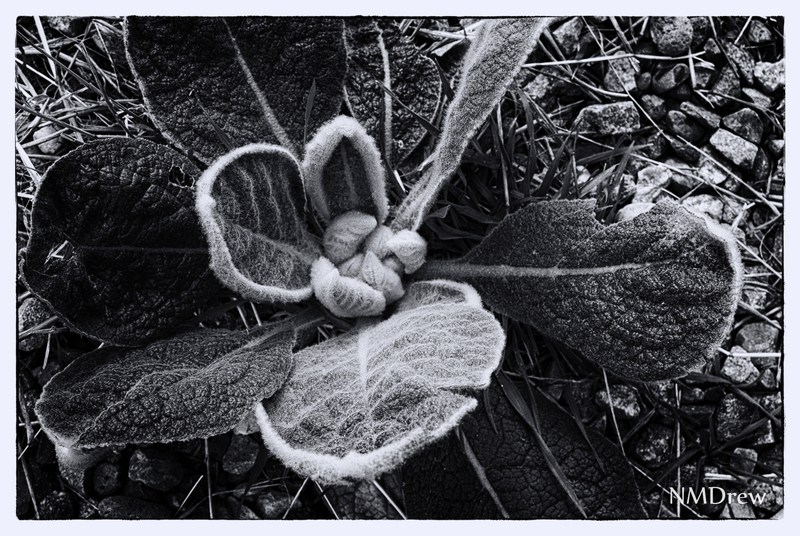 Yet, life is still present, such as this young mullein growing at 7100 feet in the La Plata mountains of Colorado. It looks furry and frosty, lovely.